Welcome to the jungle, where the weak got eaten and beaten by the strong, it was two revolution of the earth since I had been studying the culture here. Difference from what we saw in the movie like the Lion King, here, the jungle was ruled by the Yahooes who crucified one man who bear the pain from the sin after a whole year in blood and sweat serving their need. Once in every year, there would be two men that would be elected, those who stood on the bottom of the food chain would rise to the peak of the pyramid just to get sacrificed for the holy corporation of the university. Two years before, I was just a student with full of dreams. “I want to go to japan” that was what I said last year. Before I got dragged into the student executive board. I was told that joining the board would give me unforgettable experience which was indeed unforgettable yet in the other way. Saying such thing would be strange indeed. Knowing that I stayed in the board for the twice of the period which meant that I had been in the board for two years! So much thing I could do in two years, like perhaps working outside and making money or doing some volunteers on the national level, but yeah there I was, stuck serving people who did not even know about what they were learning in class. Nevertheless, my dream to go to japan was only a dream because after two years of hell, I was going to face another year ahead serving people from the board. But would go to give a good fight, because I thought that I had enough of this bull crap. I was not alone. There was this Megantrophus called Kika. We shared the same ill-fated campus life. We both were chosen by the society—given an honor to serve them—meh. He too was dreaming of going to Japan. He was a Weaboo, a maniac, he even had this huge poster of a loli-girl wearing short dress in his room. In addition, he also had this weird Japanese hairstyle covering half of his face and big glasses behind his hair. His fat belly was out of the cloth, and sometimes I could hear the button on his shirt screaming in agony. But that was not the feature which made him stayed in the bottom of the food chain. His nature of being merciful and wanted to sacrifice himself for others make him a vulnerable prey for these sociopaths living in the society. As a person with the same treat as him, I felt pity of him, but more to myself. At first, I joined the board because I saw people working tirelessly to serve the community with all they have, and I thought it was cool, that is just before I know what kind of society they were serving. At that time, I was on the same board with Kika. we spent the whole year living in hell together before in the next period, we were separated; Kika was dragged into the other circle of slavery while I was staying in the board for the second period, with much heavier burden of course. The society drained us financially and emotionally. The board was worse than slavery because despite of us working hard without salary, we too have to pay for the community needs, paying for the event that they wanted to hold but they did not want to attend. I and Kika were facing the hell for the third time, and it was even hellish than before. We were both become the candidate of the next president and the vice president of the board. Why did not we refuse it? If refusing meant one or two punches everyday by people wearing mask or kicks on our way to the campus, perhaps we could withstand it. But yeah we would not survive the pressure in our career of living. They would, in anyway, try to intervene us and spread the rumor which led to the rejection in any path we would head on. The only way for us to survive were serving the another hellish year, or to lose against the “Empty Box” which of course I and Kika would go die for the second option for size. It was no longer a strange thing for the candidates to make their attempt to fail. Our strategy was executed in some steps. The first was to gather people who sympathized us and would vote for the “Empty Box”. The next step was to go for the underground campaign, gathering the rock bottom people to unite, promising that such system must be banished and their freedom must be served—of course it was a lie since these people were minority who went against majority, but we were forced to lie to save ourselves. The last step was to bribe the prominent character of the majority. We promised them some fortune which was worth a year of the board’s fund. This was better rather than a year enduring hell with the same cost of fortune either. The first step, as we expected, was a big failure which ended miserably. Knowing that none would sympathize us for they were afraid of being targeted by the society, risking the rest of their life in the campus. The underground people—the minority—were no better. They were just a bunch of plebs without resistance, they were born as slave perhaps. Yet, surprisingly, the bribe was successful. The unnamed authority gave us a copy of the ballot so we could cheat the election and fill the “Empty Box” with the ballot we had manipulated. Once in a lifetime, I felt so happy doing a misdeed. On the following week, I and Kika went to see for the counting. The place was so full of people, but none of them is our friend. We smiled knowing that we had cheated the ballot and our attempt to fail would succeed. That is what we thought before realizing that we were tricked. The awesome “Empty Box” was literally empty which was very surprising for us. They manipulated the box, changed it with the real empty one—perhaps in this point I figured out why it was called the “Empty Box” by the former candidates elected. I was just praying that during the inauguration, a maelstrom would happen and kill all the people here. 25th of December, we were on our way to be inaugurated, never thought that our Christmas gift would be wrapped in such way under the gloomy day. The heavy rain began to fall and people were accelerating the ceremony to be done, yet that was not as fast as a lightning which stroke Kika on the head. Kika did a suicide by wearing cloth full of magnets which he learnt from watching Anime. Not only Kika who was killed, several people were also injured, and I was also on the list. 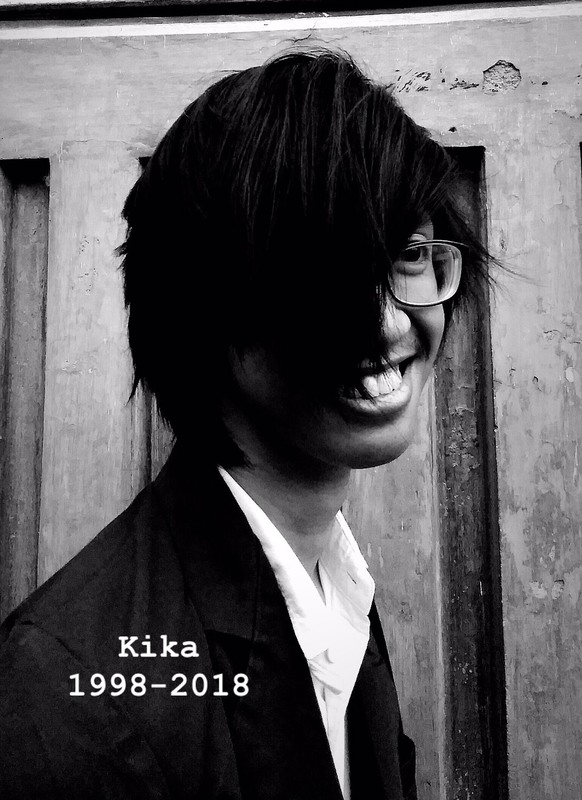 The ceremony was failed thanks to Kika’s death. The election was also failed because the “Empty Box” was no match for the Coffin of the candidate. However, the best part of everything was that I finally managed to step my feet on Japan, although it was for the operation of the prosthetic testicle operation because mine was cut by lightning, but still, I went to Japan! I never really gave a gift to mom. What I knew, mom would be happy if I write letter for her. At that time I was just an obedient little girl. But, I feel annoyed when my mom, in several weeks, always forbidden me to play with my friends, the reason was wanted me to accompany her at home. "Mom, I want to go play." Mom shook her head, "You just stay at home to accompany mom. Now, I want you to write a letter for mom, like my letter to you. Write a good letter, so that it will be a happy memory of mom." Finally, due to mom constantly persuading me to write a letter, I obeyed her for that time. I did not know what words I had to write for her, for sure I was upset because again, my mom told me to finish writing a letter for her that I never finished. Since then, I felt that mom is being selfish. I had to go home on time, if not, she would be mad on me. I looked like to be separated with my friends, even though there were no friends came to my home due to they knew I would not play with them. I felt like I was be caged. If I against mom, she will be mad and I could not got pocket-money. "Mom, tomorrow I want to play with my friends," I asked permission to mom for the umpteenth time. Again, mom did not give me permission to play. Mom always said, "Mia for this time, accompany mom at home, we must finish the letter which is not finished yesterday." This time, I denied my mom’s words. Even though mom forbidden me, I did not care anymore. I went out of the home to play and I did not care of the voice of the mom who called my name. I did not know why mom often forbidden me at that time, I did not know why mom easy to get mad on me at that time, I also did not know why mom suddenly easy to cry when I left home even went school. When the sun has begun to hide itself, I rushed to go home. I would bring flower for mom as I was felt sorry has been went to play. When I got home, my home was filled with neighbors. They usually came to my house to do social gathering. But apparently this time they did not come for social gathering, but because of mom. I saw her sleeping without regard me who had gone home. Her face looked pale. I approached father who usually smile when he saw me, but now he cried. "Your mom was sick, Mia," said father. I did not know what I have to do. I think mom was really mad on me. Now I was upset with myself, I regret to argue mom. I kept the flower near mom, hoping that mom who was covered in white cloth will forgive me again. Now I understand her words who always says that my letter will be a memory, because now all the words in the letter will be the last memory of her life for me. It is a dark evening because it is drizzling, a faint smell of soil as far as you walk, and the sound of small animals can be heard easily. Irfan is almost soaked, he doesn’t mind being soaked when it’s raining because he loves rain so much. “Ah, a cat”, says Irfan while standing in the middle of the stair in his boarding house. The cat’s fur is dominated with snow white color with some grey spots on its head, back, rear feet, and on its tail. 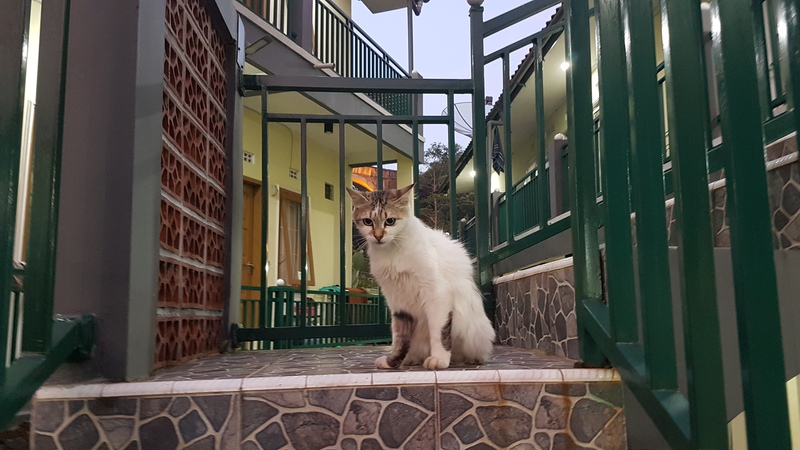 It has beautiful bright emerald eyes, “It is so cute and majestic” that’s how Irfan describes the cat. He is bored of his monotonous life. He is bored yet he greets the soon-to-be-his-new-friend with a big smile. It is still raining, he opens the door to his room widely, letting the cat to go inside. He fetches a small towel to dry the cat. Then he gives some of his food he just buy a while ago to the cat and pour some milk for it. He didn’t want to keep the cat because he thinks that someday this cat will be gone because it is a stray. He is wrong, it has been three weeks yet the cat is still here. It is a very nice day with a hot weather. The sky is blue, random-shaped clouds everywhere and there stood the cat on the stair where they met. Irfan decided not to name the cat, he only calls the cat “Cat”, because he thought it is unfair to name the cat without the cat’s permission. Because Cat has help a lot whenever Irfan is bored, he decided to keep Cat with him in his room, although he let Cat wanders the yard of his boarding house whenever he went outside. He is still bored, but it is better now that he got Cat by his side. One week passes, it is raining again, it is the coldest rain in this month, the sky is dark, thunder everywhere, and there is not a single of small animals sound. Irfan cannot find Cat everywhere in the boarding house yard. He goes out to look for Cat in the neighborhood. Still, he cannot find Cat everywhere. He is desperate, ready to cry. Running aimlessly, shouting “Cat! Cat! Cat!” but Cat doesn’t respond back. He doesn’t give up, still searching aimlessly. He keeps imagining living through his monotonous life without Cat. He loses it then cries, but still shouting Cat’s name. Then he almost gives up, going back to his room. Laying and crying on his bed, until he hears a “Meow” from inside his wardrobe. It is Cat! He forgot that he doesn’t let Cat out of his room then Cat got locked inside of his room. Cat decides to sleep soundly through the storm inside Irfan’s wardrobe. Irfan picks up Cat then hugs Cat while crying, talking to Cat telling Cat how afraid he is to lose Cat. He gives Cat a big pile of cat food and lots of milk. Then, after Cat finishes eating, they fall asleep together. The storm ends, but it is evening, so the sky is still dark but you can hear the sound of small animal everywhere as if they are celebrating the storm’s end. People say that high school is the best years of life, and I totally agree. For two years I was being a secret admirer of the most beautiful girl in my school whose smile as sweet as sugar in the giant jar. Her name is Bianca, one of my classmate. Whenever she stared at me I felt like thousand stars stroked my heart. I loved her, so did she. I could see that from the way she looked and spoke to me. But I could do nothing. Romance isn’t my thing, even though I want it. It is said that a man and a woman are not allowed to be alone together, and any physical contact before marriage is forbidden. Hence, dating is not permitted in my religion. I couldn’t fight those feeling. Perhaps that was my biggest dilemma for seventeen years of life. Night was coming, letting some confusions laid awake in my mind. In the last third of that night, as I prostrating on the rug with my forehead, nose, and palms on the floor and my elbows raised, I called her name three times in a row hoping I could get the answer of my feeling. The next day, I sat in the canteen corner sipping orange juice. Bianca came and sat beside me. I could see the smooth white thighs while she crossing her legs. The curves of her body shows the perfection, It’s really make my testosterone drove well. I couldn’t bear holding back my feeling. “OK! I’m so done with all of this, I should tell her what I feel!” I mumbled. Time flew so fast; we were in Bukit Unggul enjoying the scenery. My heart was beating faster. Evidently, my faith is not as strong as my love for her. ” Nope, I am waiting for a boy. He is the one whose smile can warm my lonely night”. She looked deeply into my eyes. I could see her eyes shimmered with tears of happiness. “I love you too, Jeff! I really do. But I know how religious you are, and I am not. My father is a drunkard, I cannot read Al-Quran well, I haven’t ready to cover my aurat yet. 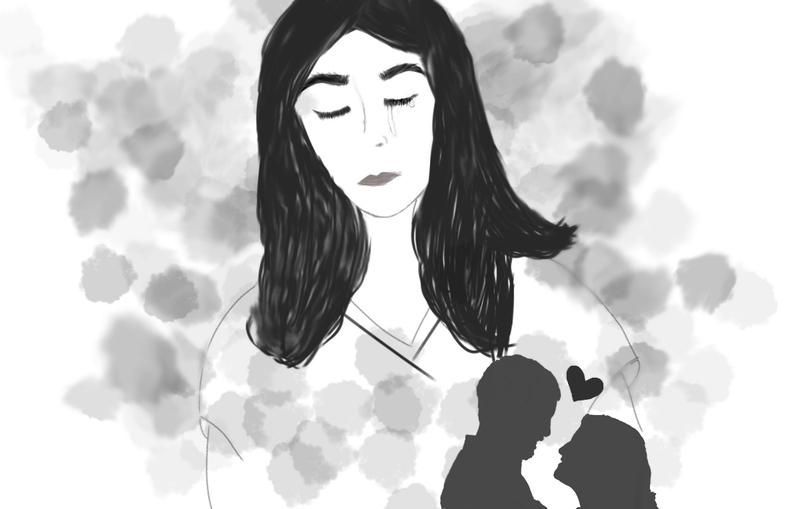 Could we be lovers?” she asked desperately. “If loving you is wrong; I don’t want to be right at this moment.”. “Kiss me, then! Just once.”. “For the first and the last time”, she added. Then I let her hand stroked my hair. We made intimate eye contact, then close ours. I kissed her lips, opening her mouth slightly, then intertwining her lips and mine. Such a pleasure. “I love you” she whispered and closed her eyes till they couldn’t be opened again. Damn! She was gone. I could not hold back my tears. 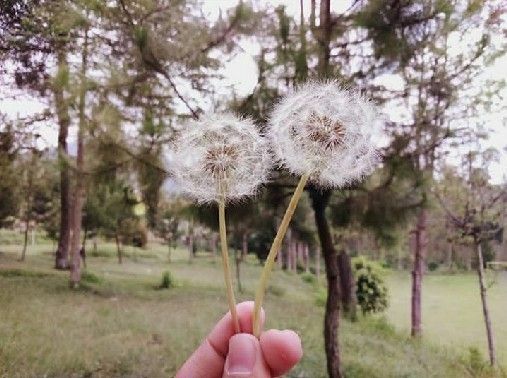 Just like the dandelions, I hoped we will be together travelling back in time. Five years ago Adiva and Albi are in a very flat relationship. They were spent a lot of time together, but Albi as always with his bad character, ignorant even so but he sometime worried about Adiva. While at school he has a squad of 7 people, and Adiva was only close to the one of Albi’s friends. His name is Galih, and Adiva always asks about Albi to him. Adiva and Albi when at the school was in the same extracurricular that is community bulletin boards. The activities in this group is replace the bulletin boards and re-decorate it also making a film. At that time this extracurricular of bulletin boards was most in demand at school because there were many of them who wanted to improve their creativity skills. At one day we are opened registration for all of juniors in the school and socialized to their class. When the sky gets dark and also the class is over, we used to hold gather in an empty room. Because when the class over, the classes would be full of other extracurricular. While Adiva goes to check the empty room also the bulletin boards. And then Adiva meets with Galih and as usual they were talk about anything. After that they returned to the crowd of their friends and told about the empty class. Adiva and her friends had finished gather, when they were about to go home, Albi comes over to Adiva and says that he cannot take her home, because Albi will accompany Galih to repair his car. And then Adiva go to home with her friends without worry. 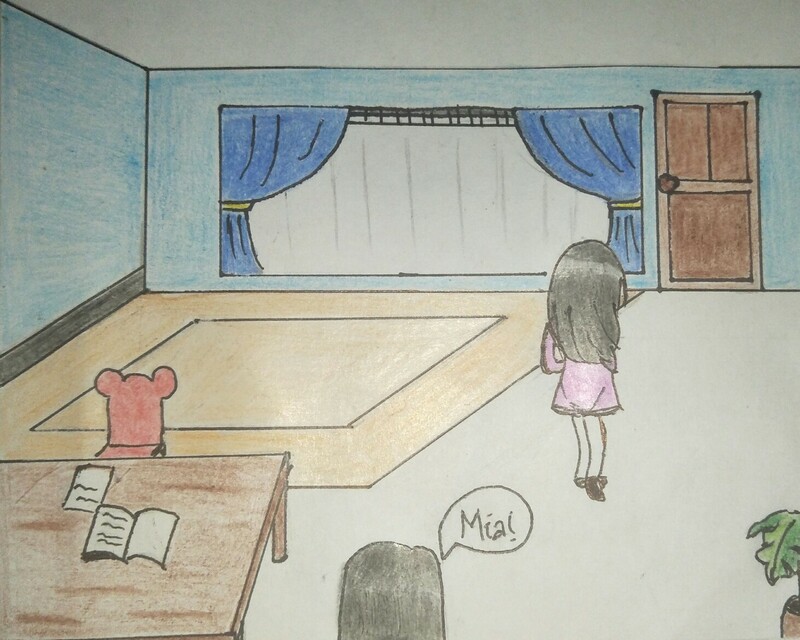 In the next day, Adiva felt that something was strange, yes it is right that Albi did not come to school, then Adiva asked about Albi to Galih and he at that time wanted me out of the class to talk about something he had long kept, especially for Adiva. He said that Albi lied to Adiva that he would accompany Galih yesterday, but instead Albi went to a nightclub to meet a girl who was even junior at Adiva’s school and Galih also said that they had slept together. At first Adiva did not believe with Galih’s words, but because they are go together, he had strong evidence that the photos of Albi’s with that girl were together in one bed, because they are drunk. Adiva looks very confused, does she have to be angry, sad, disappointed that feeling are mixed up, she wants to be angry but she cannot, Adiva feels embarrassed about this, how can Albi do this to Adiva, five years together, but Albi even betrayed her and without any “sorry” words that came out of him. That words an understandable response from anyone who has been betrayed. Especially for Adiva. The words always come in her mind. And she is not come back again.